On April 24th 1916, Patrick Pearse declared an independent Irish republic from the steps of the General Post Office on Sackville Street, Dublin. Irish Volunteer forces occupied a number of strategic positions throughout Dublin city. This was to be the beginning of a weeklong bloody conflict that was to become known as the Easter Rising. Unlike castles and cathedrals, battlefields of the Irish 1916 Easter Rising are not easily found, and require some background knowledge of the contender’s tactics, the cause of the battle and the reason for its final outcome. However, the battlefields are still there, hidden amongst modern development. The South Dublin Union is one of those battlefields. 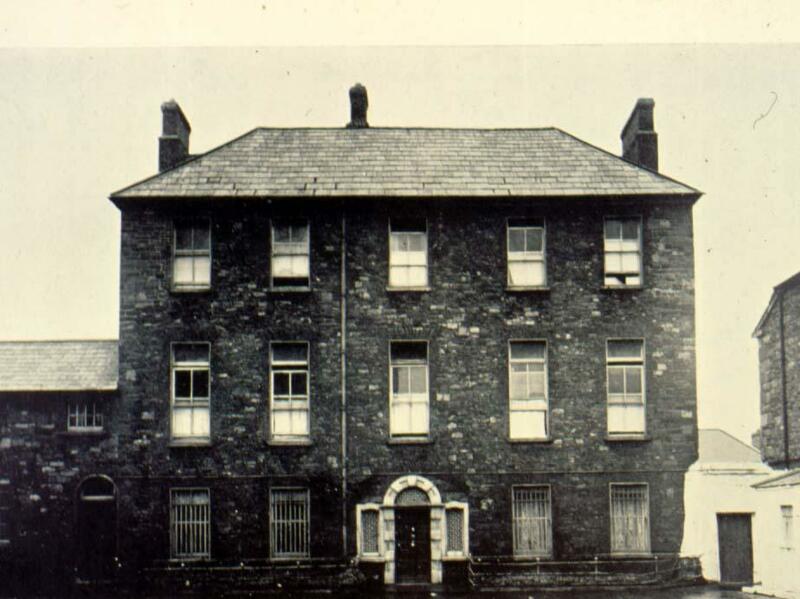 The South Dublin Union workhouse catered for Dublin city’s destitute, infirm and insane. The complex was spread over fifty acres consisting of an array of hospital buildings that housed 3,282 people including patients, doctors, nurses and ancillary staff. The area, enclosed within a high stone wall, consisted of living quarters, churches, an infirmary, a bakery, a morgue, acres of green space and many stone hospital buildings connected by a labyrinth of streets, alleyways and courtyards. At 14.15 hours the Sherwood Foresters came under sniper fire as they attempted to cross the Rialto Bridge. The Foresters took cover as their advance guard identified that the firing had come from buildings within the Union complex. In order to proceed safely, Lieutenant Colonel Oates realised he had to thoroughly clear the way ahead and protect the column’s flanks. The advance guard to clear the auxiliary workhouse and occupy as much as possible of the South Dublin Union, with a view to distracting the enemy’s attention whilst the transport crossed the bridge. Another British officer, Sir Francis Fletcher Vane was given command of the assault group. Captain Martyn, Captain Oates and one hundred Foresters entered the grounds of the South Dublin Union and moved northwards, spreading out in a skirmish line across the open ground. The Volunteer headquarters, the Nurses Home, was identified from a green flag that flew from its rooftop. Unknown to the advancing Sherwood Foresters, the South Dublin Union was held by members of the 4th Battalion of the Irish Volunteers under the command of Commandant Éamonn Ceannt and Vice Commandant Cathal Brugha. 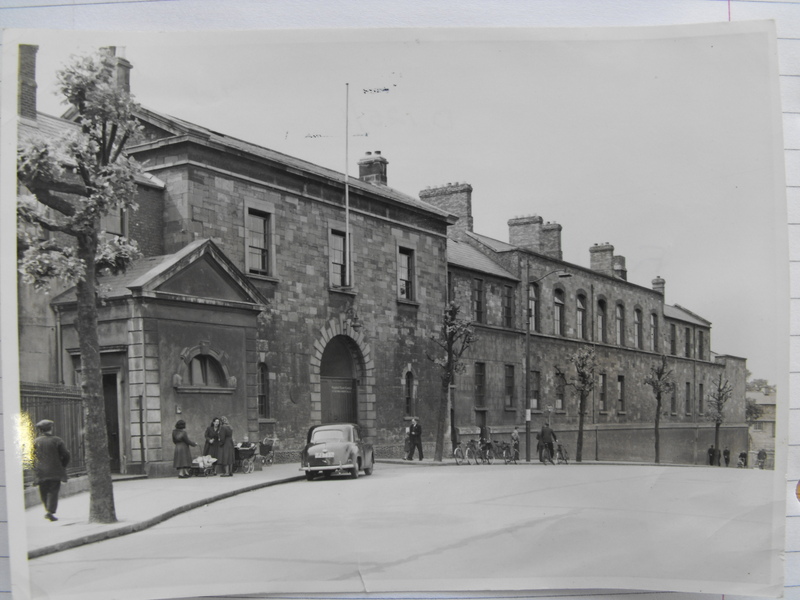 Volunteer forces had occupied the complex on Easter Monday 24th April and had immediately come under attack from troops of the Royal Irish Regiment. The sudden occupation and battles that erupted in the grounds of the Union prevented both sides from evacuating hundreds of staff and patients. A running battle was fought throughout that Monday through the hospital corridors with both sides suffering heavy casualties. There were many civilian casualties as innocent people were caught in the crossfire. The Royal Irish Regiment managed to retake many of the buildings after fierce fighting. However, to their dismay, the Royal Irish Regiment were ordered to withdraw and return to barracks. They objected strongly but withdrew from the complex. The Volunteers had established their headquarters in the Nurses’ Home and had barricaded the doors and windows and turned the building into an impenetrable fortress. Rifle fire erupted from the building as Captain Martyn and his unit came into sight. Lance Corporal Chapman, gamekeeper to the Duke of Newcastle, was shot and killed as he advanced through the grounds. A British machine gun unit, positioned on the roof of the nearby Royal Hospital saw the advancing Foresters and laid down a covering fire against the Nurses’ Home. Bullets entered the rooms diagonally, splitting the brickwork at the sides of the windows, preventing the Volunteers from returning fire. This covering fire enabled a section of Foresters to gain entry to a ward directly fronting the Nurses Home. Smashing the windows they opened fire on the Volunteers. On the blast of a whistle the Foresters attempted a frontal assault on the building but suffered casualties as they were repulsed by heavy fire. Captain Martyn realised that frontal assaults on the buildings were futile and decided to attempt to outflank the Nurses’ Home by entering a long series of buildings to the left of the Volunteer headquarters. Entering the building, the Foresters made their way through a labyrinth of corridors until they reached the dividing wall between the buildings. Martyn sent his men to get some tools to breach the nine-inch thick wall. A small coal pick was acquired and the troops began hacking away at the wall. The noise went unnoticed due to the din of battle. The wall was soon breached and two soldiers crawled through the narrow entrance. The first soldier was shot dead as he emerged from the hole, blocking the way ahead. The Foresters took cover as a hand grenade exploded. Captain Martyn and Corporal Walker removed the dead body of the Sherwood Forester who was blocking the breach and then crawled through the opening in the wall into the Nurses Home. They found themselves in the porch area of the building facing a large barricade that almost reached the ceiling. Both men took cover as the area was raked by rifle fire. A satchel of hand grenades was handed through the breach to Captain Martyn. Captain Oates crawled through the breach into a scene of utter chaos. The top of the obstruction was almost in line with the lower landing of a stairway and the Volunteers had a reinforced position here that looked down on the barricade. Corporal Walker pulled the pin on a grenade and lobbed the bomb but the missile failed to clear the barricade and rolled back amongst the British soldiers. Captain Martyn rushed forward, seized the grenade and threw it over the barricade. The missile exploded with a deafening blast in the small hallway beyond the barricade. The noise of battle, the smell of cordite all contributed to confusion on both sides. Captain Martyn pulled the pin on a grenade and catapulted it over the barricade. It landed on the stairs just as Vice Commandant Cathal Brugha was descending. His body convulsed as he was caught in the explosion, his body torn by pieces of shrapnel. Captain Oates fired his automatic pistol hitting Brugha as he fell. 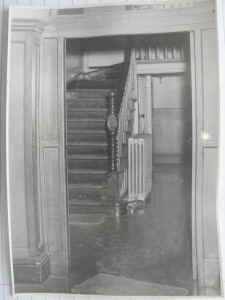 The wounded Irish officer crawled down the remaining steps, across the hallway into a small kitchen. He drew his automatic pistol and fired widely into the barricade and at the ceiling. The British officers were forced to lie prone as a tremendous blast of gunfire was directed at their position. Pinned down by Brugha’s inaccurate but intense fire, Captain Martyn was unable to breach the barricade. Martyn shouted for the Volunteers to surrender but a hail of gunfire met this request. Captain Martyn and Captain Oates threw grenades over the barricade and the volunteers threw canister bombs at the barricade. The building was shaken to its foundations after each bomb exploded, threatening to bring the ceiling down on both defenders and attackers. Captain Martyn realised his position was untenable and ordered his remaining troops to withdraw. Both officers and the corporal dashed for the hole in the wall. Once safety through they lobbed the remaining grenades into the lobby. Word reached the officers that the transports were no longer under fire and were in the process of crossing the bridge. The officers withdrew from the buildings and returned to the column. A rear guard was left in place to cover the convoy as it made its way to its destination. The battle for the Nurses’ Home continued until the early evening. The convoy reached the safety of the Royal Hospital later that evening where the troops billeted in the Great Hall and the Baroque Chapel, their mission accomplished. Within forty–eight hours the Rising would come to its bloody conclusion with the unconditional surrender of the Irish Volunteers. The authorities released Cathal Brugha, the Irish officer who had single-handedly held off British assaults as he had suffered catastrophic injuries, believing he could not survive. Defying death, Brugha survived his injuries and made a full recovery, only to be shot and killed six years later during the Irish Civil war. Of the fifty-two honours and awards given out for the suppression of the Rising, fifteen were awarded to the men of the Sherwood Forester Regiment. Captain Michael (Micky) Cleeve Martyn of the Nottingham and Derbyshire Regiment received the Military Cross for his actions during the insurrection. Later Martyn fought with the Sherwood Foresters on the Western Front, receiving the Distinguished Service Order. Captain John Sherbrook Oates was wounded twice in action on his return to France and Belgium. He was awarded the DSO and his father, Lieutenant Colonel Oates received his DSO at the same investiture at Buckingham Palace. Today, the battlefield of the South Dublin Union still exists. It lies hidden amongst the modern buildings of St. James’s Hospital, one of the largest hospitals in Europe. 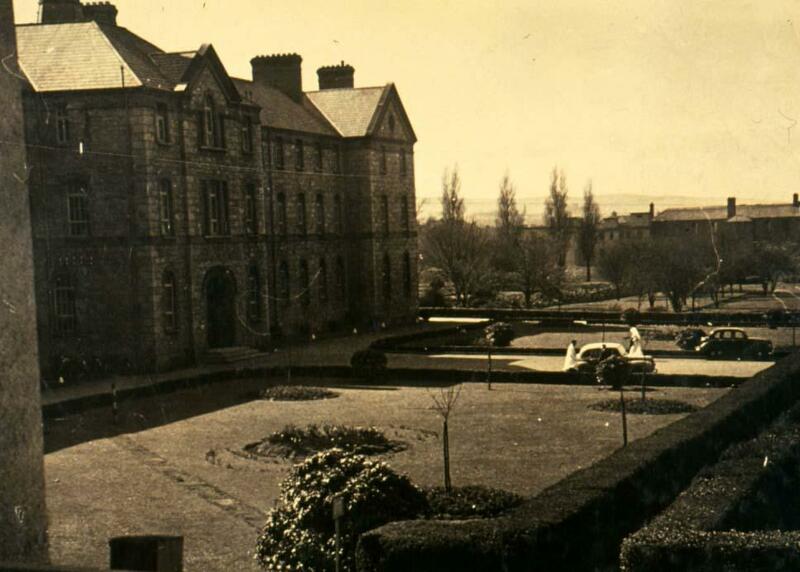 Many of the original buildings are hidden away amongst the urban development that accompanies any modern hospital, but they are still there, a testament to those from both sides who fought and died that Easter week of April 1916.